Review Context: I am a long time Square Enix fan, with RPGs being my absolute favorite genre. I watched a ‘let’s play’ of Bravely Default when it came out because I didn’t own a 3DS. I recently purchased one and this was the first game I got. 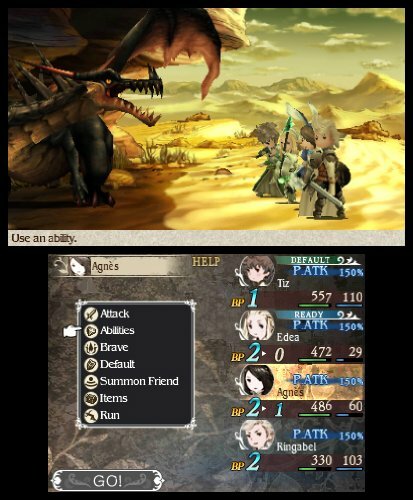 Bravely Default is a turn based JRPG with a unique jobs system that allows players to mix and match different jobs to create any type of build they want. 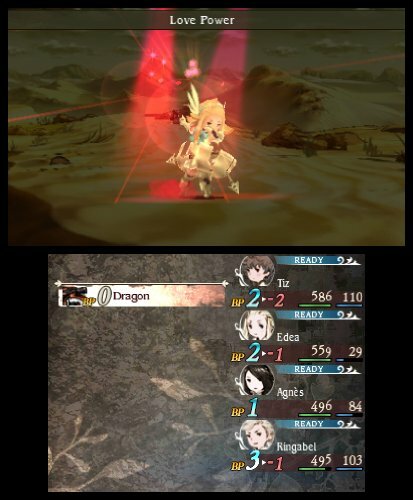 Bravely Default also boasts a dynamic battle system involving battle points which allow each character to take up to four actions at once. Bravely Default is a masterfully executed JRPG with intense boss fights, a huge cast of memorable characters, amazing music and art, and a twist or two that will leave your jaw on the floor. So be brave and dive in because Bravely Default could be one of the greatest. Bravely Default’s battle system plays like no other RPG. Taking an action cost one battle point, or BP, and every character starts turn one with 0 BP. A character can act so long as their BP count isn’t negative, and at the end of the turn every character will be granted one BP. This means that if a character only takes one action at 0 BP then they will be able to act on the next turn. Just like any standard turn based RPG. However, the player can also have a character brave, which consumes one BP in order to allow them to take and extra action. So if a character braves once and takes two actions on turn one with 0 BP then they will have to wait a turn before they can act again, as they will have -1 BP at the start of turn two. The player can choose to make a character default which doesn’t consume any BP and makes them take 50% less damage for that turn. If a character defaults on turn one then they will have 1 BP on turn two, which means they can take two actions on turn two and still be able to act on the next turn. Every character can brave three times in one turn, meaning they can take four actions at once, and they can store a maximum of 3 BP while not being allowed to go below -4 BP. Its all about managing your BP so that your characters aren’t in the negative and unable to defend themselves, while also finding the perfect moment to strike and with enough BP to strike hard. Brave too hard in the negative and people will start going down, and if your taking too much damage and reviving people then your healer is going to run out of BP. It also makes enemies more unpredictable, as they work off of the same system. It’s a constant balance of risk versus reward and also proper timing, as striking at the wrong time can result in a flurry of attacks that get blocked or a team that can’t react until its too late. Every character has two jobs equipped at all times, each with their own abilities, stats, and outfits. The character can use active skills from both jobs, but only the main job determines the characters stats. Winning battles awards XP, which raises a characters base level and Job points (JP), which levels up the characters current main job, starting at level 1 and ending at level 14. Each character also has support ability slots, starting with 1 slot and going up to 5, which can be filled with support abilities from any of the classes, not just the two equipped. This allows for crazy amounts of customization and creativity, as the number of build combinations increases with each job level. This also works super well with the battle system. Since each character can take up to four actions at once, a character can use an ability from one job that raises their physical attack for one turn and then use three powerful damaging abilities from the other job that all get to utilize the physical attack buff. It is how those jobs interact that makes the system so interesting. Actions for every character are determined before the turn starts and then, after hitting go, both teams take their actions at the same time, with agility determining who goes first. However, in Bravely Default everyone gets a random bonus to agility that varies up to a max of 20% of their total agility when they act. A character with 20 agility can act with anywhere between 24 to 20 agility. So a character with high speed will go first more often than not, and if they have a large enough advantage in agility then they can guarantee that they will go first, but for the most part, you can never be certain who is going to go before who, especially late game. This makes the battle unpredictable and exiting. 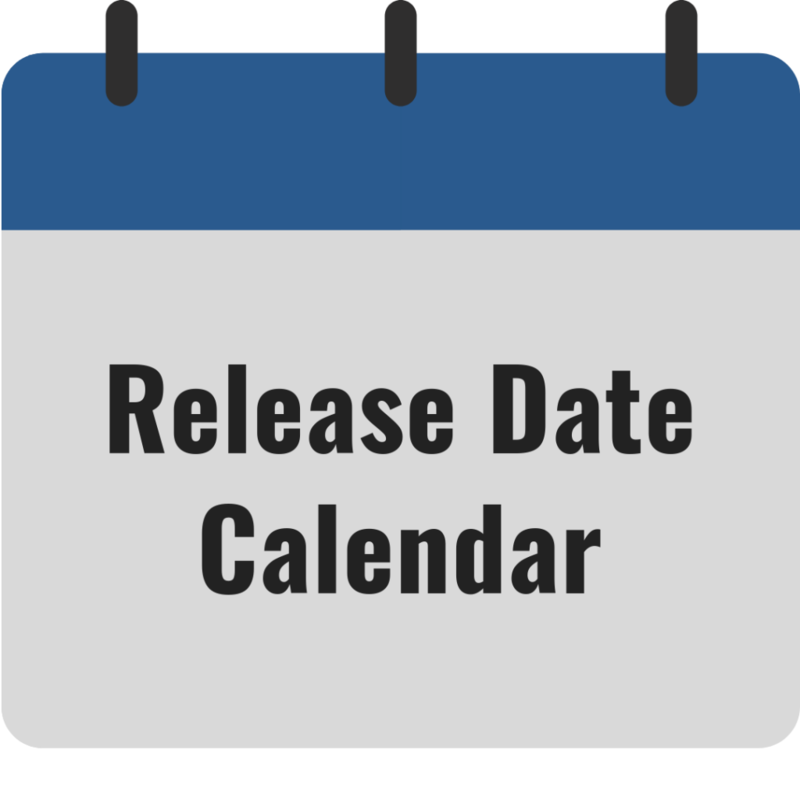 You can plan your strategy to a tee, but that doesn’t mean it’s going to work out that way. You have to deal with and prepare for the unexpected. Your healer could get out sped, and then your magic dealer goes down before he could be healed, which means he never used his abilities which would have killed the two enemies that are now about to destroy the rest of your team. It’s for that reason alone that speed equipment or support abilities are really good on healing classes. It’s dynamic and challenging but without straining your focus like other popular JRPGs like Final Fantasy IV, which use active attack timers. You get all the time you need to decide, but the fighting is just as exciting as ever. You can also perform whats called a “bravely second,” which allows the player to perform an action with any character at any moment, even mid-turn. Powerful when used correctly, as not only can it save your team before the enemy has a chance to end the fight, but it also gets rid of the damage cap. In Bravely Default the maximum damage you can do with one action to a single target is 9,999, however with bravely second you can do significantly more than that if you have a good enough strategy and strong enough characters. Bravely seconding costs sleep points which recharge while the system is sleeping to a max of three. It takes almost a day of sleep to generate one point as bravely seconding is very powerful. While you play there is also a background timer mini-game where you rebuild a town called Norende. By appointing villagers to a task, the more assigned the sooner it will be completed. You can unlock unique items in shops, special outfits, and also special moves. Every weapon class has a special move that can be used after a requirement has been met. For staves, the ability is rejuvenation which heals all party members and can only be used after the wielder heals 10 times. When used, these moves also cause the music to change to character specific versions and a buff is applied for the duration of the music. Unlike other buffs that are turn based, if you play fast enough you can utilize the buff for more turns than any other buff. The cool part is that if another special move is used before the song of the first one ends then it will refresh the timer of the first buff. If you time your special moves properly you can get all four buffs going indefinitely, though it is rather difficult to accomplish. Special moves can also be equipped with parts that change the damage type, change or strengthen the buff, and for the rejuvenation move specifically, do amazing things like heal MP and even give BP. These parts are also unlocked by rebuilding Norende. At the beginning of the game you start with only one villager. You can get more by street passing, adding friends manually, and updating your friend data. Once a day you can update your data which sends out several Bravely Default specific friend requests. For everyone of these sent you get one villager, as well as one for street passing and adding manually. Accruing villagers isn’t the only thing friends can do though. You can also choose to summon an attack from someone on your friends on your friends list. During battle you have the option to “send,” which will record the damage and type of the next attack and then save it to your profile. If anyone on your friends list summons you then that is the attack they will get. You can summon a person once per day, so more friends means more attacks. You can even customize the phrase that your character yells when they do the move. Seeing who can come up with the best attack is not only fun, but if you really need some help in the early to mid-game then you can easily one shot a boss with an ability from a friend who is much farther into the game. Bravely Default is about a boy named Tiz Arrior, who’s entire village was swallowed up by a great chasm leaving him as the only survivor. Soon after this event he meets a girl named Anges Oblige, the Vestal of the wind crystal, who has traveled to the great chasm to understand its cause. Along with Edea Lee, daughter of the grand marshal of the Duchy of Eternia, and Ringabel, a boy with no memory and a book containing events from the future, they discover that the four crystals have been corrupted by a dark magic. Without the blessing of the fire, water, wind, and earth crystals, the seas have gone putrid, volcanoes erupted out of control, and the wind has ceased to blow. Together, guided by the cryst-fairy named Airy, they must travel the world to activate the four crystals and cleanse the world of the spreading evil. A story that deals with serious ideas and some really dark subject matter, but can also be lighthearted, fun, and charming at times. Bravely Default’s story is an engaging blast from start to finish. Arguably the most important part of any JRPG is the story and Bravely Default’s story is absolutely astounding. Bravely Default’s story is not only grandiose, in true Square Enix fashion, but fully voice acted as well. The writing is fantastic, saying so much with so little, but still giving tons of detail and personality to each character, and the exceptional voice acting serves to further lend personality to every character. Ringabel is my favorite, with his quick tongue and insatiable lady lust, and Edea is my second, with her feisty temperament and her intense love of sweet. Where as more traditional JRPGs create a vibrant and deep cast of party members that you can play as with several memorable antagonists, Bravely Default”s entire cast is full of memorable people. Every boss in the game, excluding demons that don’t talk, is a fully fleshed out interesting character with a backstory that is barely hinted at on the surface. They all come across as traditional villains at first, but slowly reveal that they are so much more. Half of the fun of the story is learning about these people and what their motives are. As you learn more and more info about your enemies, the more you learn about why they are opposing you. Very quickly the line between good and evil starts to become so clear. It is masterfully done in a similar way to how Dark Souls only tells you obscure facts, and sometimes intentionally misguided information in order for you to connect the dots by looking at the environment and reading item descriptions. Almost every line of dialogue has a direct meaning, which is succinctly stated and clearly conveyed, and a deeper hidden meaning that takes either thought or foreknowledge to understand. Knowledge that you are eventually granted if you look hard enough and pay attention. The best part though is that Bravely Default has one of the biggest and most well executed twists in all of video gaming. Even rivaling, and in my opinion surpassing, the twist in Star Wars: Knights of the Old Republic. The writer’s talent for saying alot with a little, and hinting at a bigger picture makes the twist and its execution jaw dropping. The way they trick you into thinking you’ve got a story element figured out by dropping an easy tell on you, only for the answer to be so much more intricate and mean so much more than you thought is so deliciously devious. you’ll spend five minutes staring at your 3DS, mouth agape, just wondering how you never figured it out sooner. These praises may sound over exaggerated, but I’ve known the twist since the week of release and I can still remember the way I felt vividly. It left such a mark on me that Bravely Default was one of my favorite games of all time before even getting to play it. Playing this through, even after watching it in its entirety, has solidified it as one of, if not my all time favorite. The game is fun as hell, and all the foreknowledge I gained hearing the story once has given it a second sun with which to shine. It’s awe inspiring to see how the things it took me the entire game to understand and figure out are basically given away constantly. All the subtle hints and double meanings only become truly apparent on the second go and you will be amazed at how many there are. The one complaint that people have with this game is that at a certain point they make you repeat boss fights. People tend to reject this as shamefully and artificially lengthening the game. For one, it is completely story significant, however anything I could say in its defense would be revealing too much. So for the game’s sake I will simply say I disagree that it is ‘shameless asset reusing’ and if it is, then it’s so well tied into the story and effectively used that I don’t even care. Essentially the game gives you the opportunity to fight every boss again, but with more stats and somewhat different dialogue, but they only require you to do a few specific ones in order to progress the story. If you want, you can just rush to the end and be fine because those optional boss fights don’t award XP, only JP. This where the gameplay shines though. These are the most intense fights in the game. First they just make the bosses harder so that they all scale with you properly. Then they start taking those bosses, which are normally fought one at a time, and putting them together to create ridiculous teams using effective strategies. The difficulty of these later multiple boss fights is astounding. Nothing is harder than a 4v4 against bosses that are using a really well designed strategy. Not only do these fights reward you with JP and sometimes extremely useful equipment, but they also give you access to more information about the characters. This is where you’re going to find the juiciest secrets and lore points. This is where the questions get answered and the real questions get asked. You can rush to the end sure, but it is possible your interpretation of the end will be different. For those reasons, I am totally for Bravely Default‘s boss repeats. They really aren’t the same fights, and if that is still too much, then doing it the quick way isn’t too much of a hassle. Lastly, all of this is wrapped in amazing art and some of the best video game music I’ve ever heard. It reminds me a lot of Chrono Trigger music, but fully orchestrated and beautiful. I listen to both of those soundtracks on a regular basis. Bravely Default perfectly utilizes the things that made old JRPGs great, while doing it in a new and exciting way that is perfectly executed. It has plenty of aid for those new to JRPGs, and plenty challenge for longtime Square Enix fans. I’m certain that Bravely Default will go down as one of the greatest, like Final Fantasy VII and Chrono Trigger. It’s a perfect blend of new and old, and one of the best RPGs out there. If you have a 3DS and you like RPGs, then it should be a crime to not play this game.